Vivien Leigh and Nancy Mitford had many friends in common; Lady Diana Cooper, Noel Coward and even Winston Churchill, though as we Mitty fans know, ‘Cousin’ Winston was more than a friend to the family. 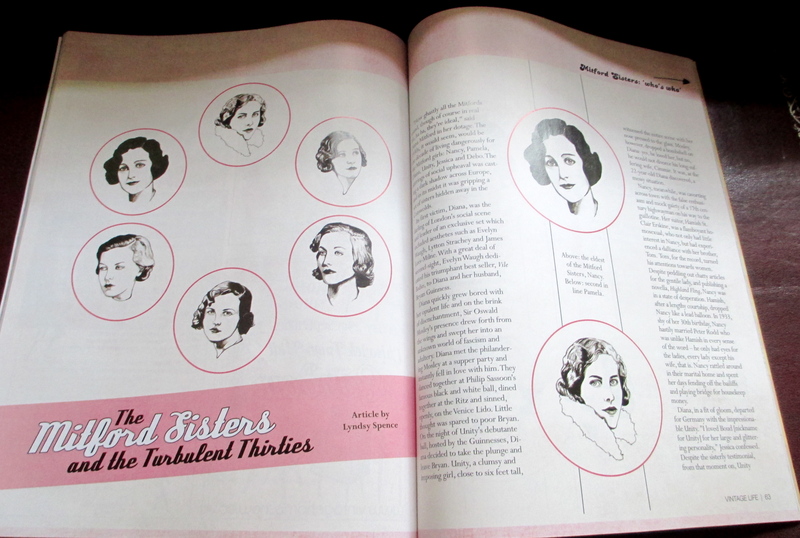 I am certain Nancy and Vivien must have met one another along the way, though I have found no evidence of this. However, in her letters, Nancy writes of a film adaptation of the Love in a Cold Climate and how Vivien Leigh was a contender to play Linda. Sadly the film fell through. 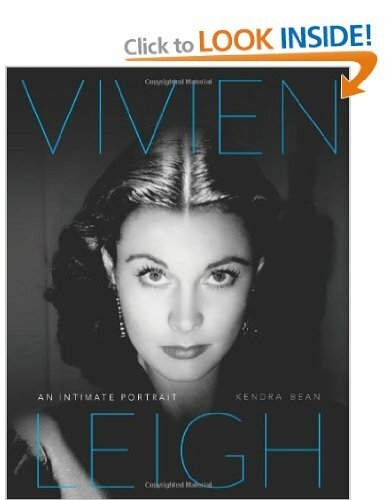 I’ve been anticipating my interview with Kendra Bean, author of Vivien Leigh: An Intimate Portrait, because some familiar factors are at play here: Kendra and I have known one another – in the online sense – for years, probably a decade but who is counting! We secured book deals within a day of one another and on a more significant note, today is the centenary of Vivien’s birth. Kendra runs www.vivandlarry.com – an online treasure trove of information on Vivien Leigh and Laurence Olivier. Her gorgeous coffee table book, Vivien Leigh: An Intimate Portrait was published by Running Press and is gaining much attention in the media and by fans alike. I caught up with Kendra to quiz her about her book, the interview follows below. Click here to purchase Vivien Leigh: An Intimate Portrait. When did you become a fan of Vivien Leigh, can you tell us about the defining moment? There wasn’t really a defining moment. My interest in Vivien began when I first saw Gone With the Wind and deepened over time as I read and learned more about her. Did you ever imagine it would lead to a website, an international following and a publishing deal? When I first became interested in her story? No, not really. There were quite a few Vivien websites online at that time. I’d been a fan for a while when I decided to start vivandlarry.com, which I did because as I began doing my own collecting and research about Vivien, there were a lot of things I wasn’t finding on those other websites and wanted to share them with other people. Over the years it’s grown exponentially, which was surprising as I never knew there were so many other fans out there. As you know, the book deal was a long time coming, even after I’d decided I wanted to do it. It took a lot of persistence to convince publishers that Vivien is still relevant today. 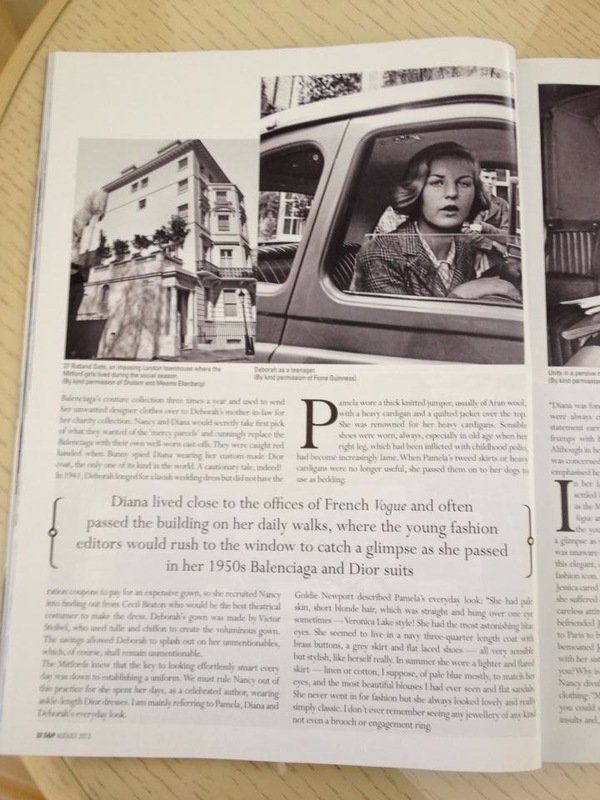 What inspired you to write a coffee table book rather than a conventional biography of Vivien? My interest in Vivien led to a further appreciation for vintage fashion and Hollywood studio photography. In some ways I almost enjoy coffee table books about Old Hollywood more than straight biographies because those actors, those stars, lent themselves so well to the visual medium. Also, in maintaining vivandlarry.com there were so many photographs of Vivien that turned up, which I hadn’t seen before. My original vision for An Intimate Portrait was to have all new and super rare photos, and there were a lot that I found which aren’t included in the book for various reasons ranging from copyright issues to things being too expensive for my budget. But during the publication process, I learned that there has to be a sense of familiarity for readers, as well as new material, and a mix of colour and black and while photos. Can you describe the process which you undertook in gathering information and how you go about transcribing it? This book was five years from idea stage to finished product, and in that time I obviously had other things going on in my life – working full time, graduate school, moving half way around the world, working again. But the research process consisted of gathering as many materials as possible to form a timeline. This included sourcing articles, transcribing letters and documents in archives, listening to audio, watching Vivien’s films again, going through the previous biographies, etc. Then I had to sort the pile of information in front of me and start to construct a narrative. As this isn’t a full biography, I really had to editorialise and think about what worked here and what didn’t, what was really important and what wasn’t in reconstructing Vivien’s story. There were areas I wanted to highlight and felt I could bring something new to, whether it was new documentary information or new analysis based on my own knowledge of film history. What was your publishing journey like, can you tell us about any unexpected twists or turns? It was a long road. When I first started out on this journey I knew next to nothing about how to take my idea and turn it into an actual book. How does one go about getting published? I asked a lot of questions and, thankfully, people were encouraging and willing to offer advice. Things got serious when I packed up and moved to London in 2010. I got an agent pretty much right away, which was really exciting and a step in the right direction, but then it took two years to actually get a publisher. In that time, the focus of my book changed (for the better, I think), so I had to re-write my proposal. I was a bit disappointed that a lot of publishers didn’t think Vivien was that relevant anymore, and therefore didn’t think she would sell. From running my website and Facebook page, I knew there was an audience for a book like this, but I had to prove it. I have enough awareness of marketing to know that big anniversaries are a good selling point, and because there hadn’t been a good biography about Vivien since Hugo Vickers’ in the late 1980s, I knew that if I didn’t get it published for this 100th anniversary on 5 November, the ship would pass and there wouldn’t be another good opportunity for years, by which time people really might not care anymore. So, time was of the essence, and I needed a publisher that had the resources to publish this specific type of book. Running Press asked me to pitch the book via a conference call with the senior editor and publisher, and luckily I was able to convince them that this was a worthy project. An Intimate Portrait was a late acquisition for Running Press’ fall 2013 list, so the turnaround time between getting my contract and handing in the manuscript was really fast. There was a lot of stress involved because not only did I have to finish the manuscript, I had to finish sourcing, purchasing, and clearing copyright for photos, which was a time consuming task in itself. Is this the start of a writing career? What would you like to do next? I hope so. I have a few different ideas kicking around. I’d like to try my hand at a full biography and also branch out into other areas of film history. I’m currently working in the photographs department at the National Portrait Gallery, which I love, so maybe there’s some more archival or curatorial work in my future. We’ll see what happens! Aside from Vivien Leigh and the world of acting, who are you literary heroes? I don’t have heroes, per-se, just favourite books. I read a lot of books about film history, but when it comes to literature, I’m a big fan of historical fiction. Some of my all-time favorite books include Gone With the Wind (an obvious one), The Count of Monte Cristo by Alexandre Dumas, Lonesome Dove by Larry McMurtry, The Mists of Avalon by Marion Zimmer Bradley. I love the Song of Ice and Fire series by George R.R. Martin, A Confederacy of Dunces by John Kennedy Toole, and The Moviegoer by Walker Percy. I’ll read basically anything by Cormac McCarthy. 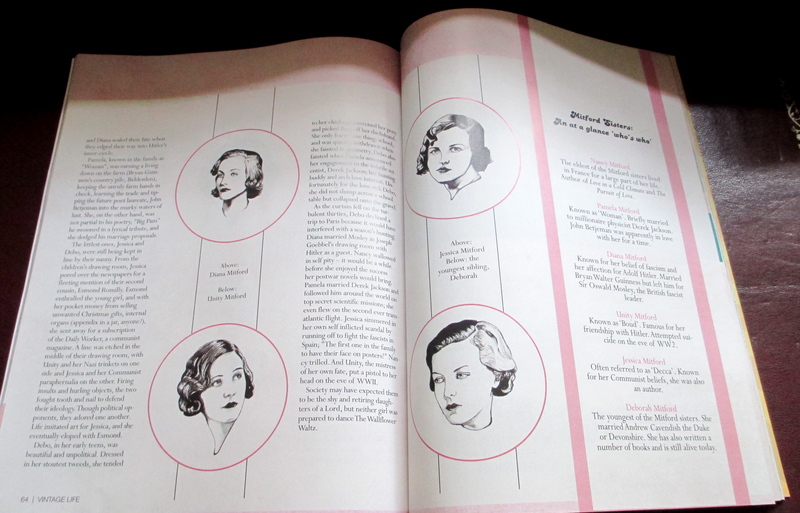 I don’t have one as yet, but I have The Mitford Girls’ Guide to Life in front of me and am looking forward to learning more about all of them. 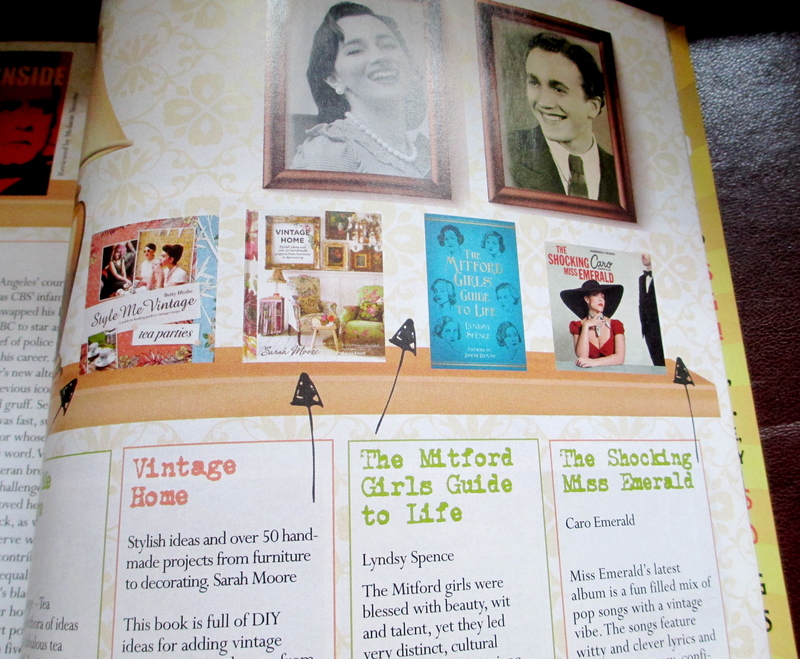 It seems that amazon.com has released The Mitford Girls’ Guide to Life a month or so early. This is very exciting news and once again I’d like to express how grateful I am to those of you who have been supportive of my little book. 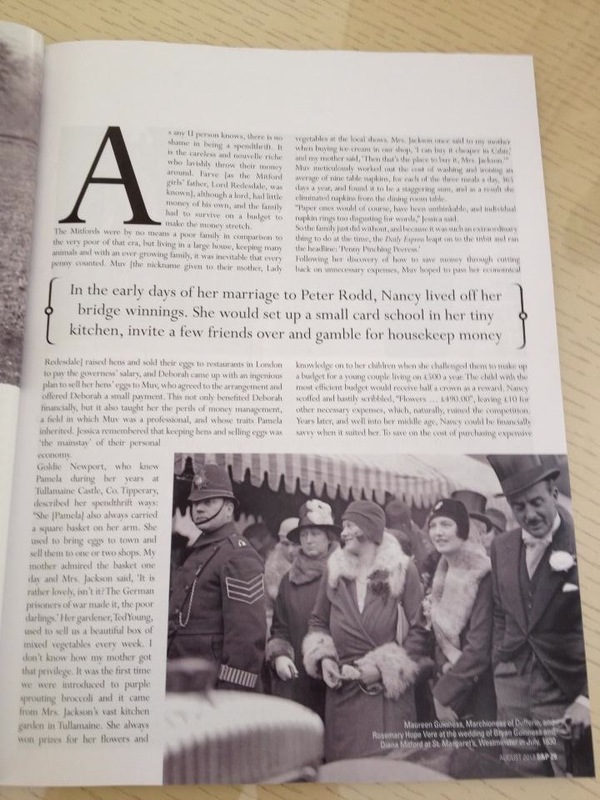 I’ve just received a copy of Vintage Life magazine which features my article ‘The Mitford Sisters and the Turbulent Thirties’ along with a review and an ad for my book! Please see below for photographs. Issue 34 will be available from Aug 29th! 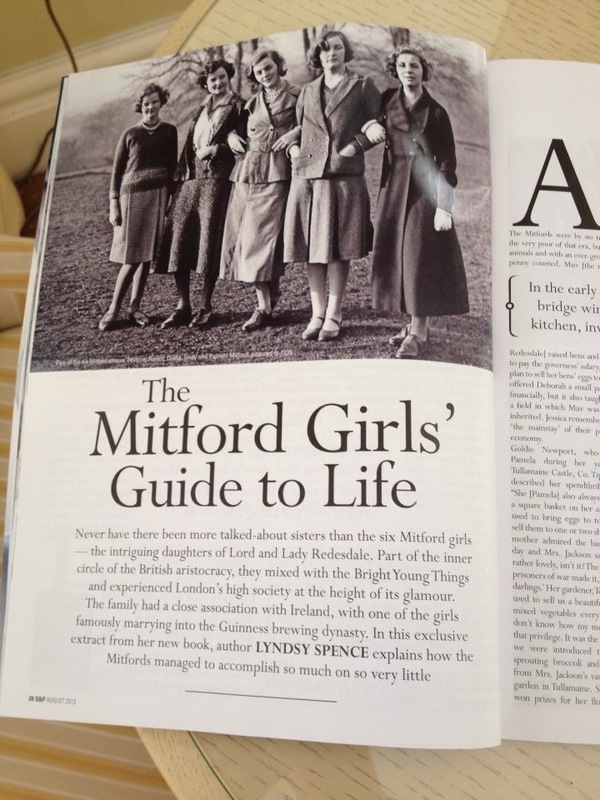 In the appendix of my book The Mitford Girls’ Guide to Life you will find many personal stories of the girls. 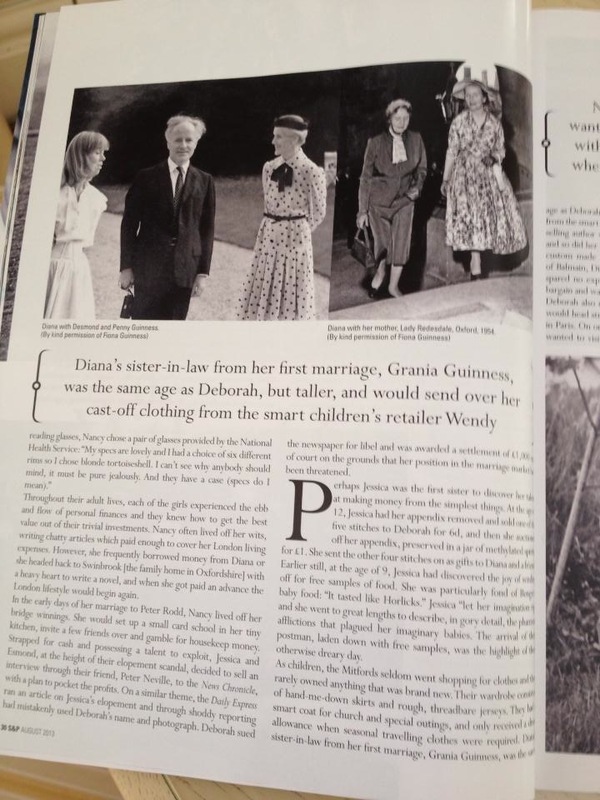 I love this story which Diana Birchall so kindly shared with me. See below for this extract (please note: this is copyrighted material and should not be produced elsewhere on the internet). 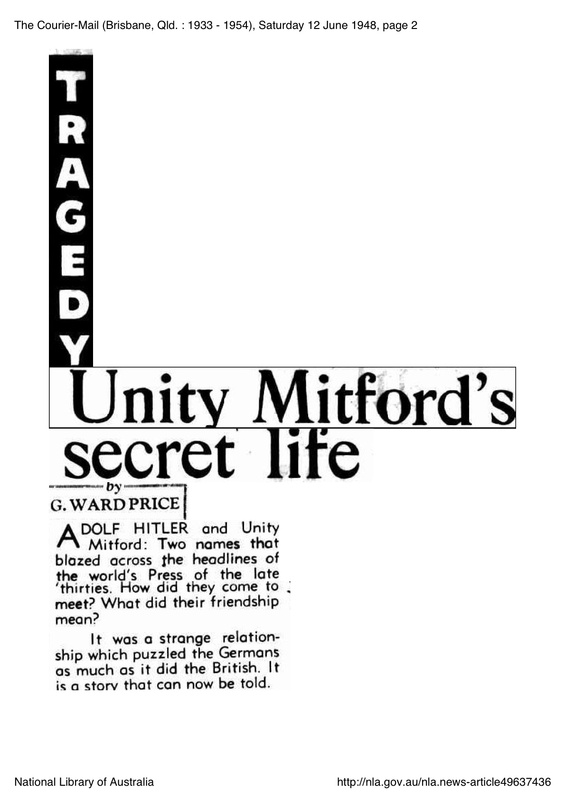 “My lifelong fascination with the Mitfords drove me, in 1995, to try to meet one. Singular as they were, I wanted to talk to and observe one of the sisters at first hand in order to have a better understanding of the family and the phenomenon. 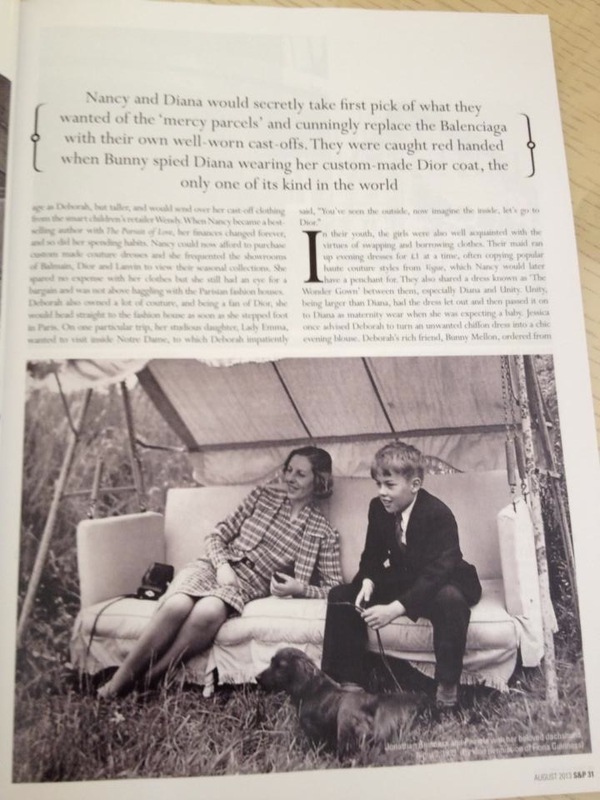 Also, they were getting older, and it was clear that if I was ever going to meet a Mitford, I had to accomplish it soon. As I live in Los Angeles, Jessica was the closest, but this was before e-mail and google, and making contact was more difficult. I couldn’t think how to track and meet her. Then a friend in San Francisco, intrigued by my determination, reported a sighting. Jessica was being auctioned off by the Berkeley Library – or at least a dinner with her was. My friend loyally bid $100. But a wealthy lady won the auction, for $700, the proceeds to go to the library, and this kind lady very generously arranged a dinner for eight, and invited me and my friend to be of the party. So I flew up to Berkeley and went to this elegant soirée at the lady’s beautiful home high on the hills. The amusing thing was that none of the other people invited (except my friend, and myself) really knew who Jessica Mitford was. They were just doing something nice for the library. 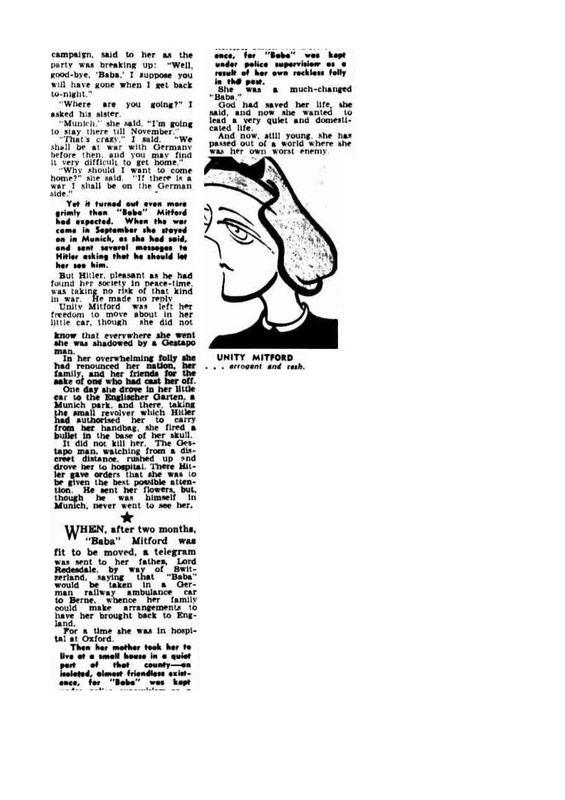 Knowing that this was perhaps my only chance to ask a Mitford everything I wanted to know, I compiled a list of questions. What was Farve really like? Did Jessica get along with the others now? Were there really Nazi sympathies still in the family? How did she reconcile her lifelong love of communism with the fall of the Soviet Union? And could she demonstrate for me what the Mitford shriek sounded like? 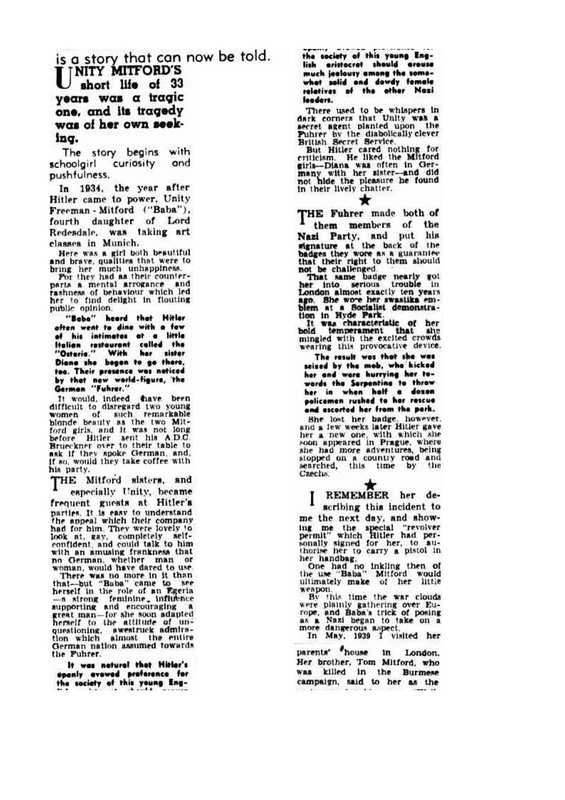 Superficial, perhaps, but the multiple biographies, Letters Between Six Sisters, and Decca’s letters had not yet been published, and the Mitford reader did not know about the sisters’ lives in such depth as we do now. I found Decca sitting composedly alone and apart in the living room, a silver haired lady in her mid to late seventies, distinguishable from the other rather elderly ladies by her elegant finger-waved silver hair and the triangular, blue, baleful Mitford eyes. Those, I recognized instantly. The other ladies were gathered in little clutches, not liking to approach her, so I went up to her, plonked myself down on a footrest, and proceeded to ask my questions. She instantly lit up and opened out, answering every one of my questions in expansive detail. (She even gave me the Mitford shriek, which to my surprise sounded like a trilling little 1920s debutante giggle.) We talked for about an hour before being ushered in to the elegant dinner, and our lively chat continued during the meal, with the others looking on silently. Was I rude to hog her? But she seemed to like having somebody who knew about her and was interested in her stories. As for me, I was in heaven! After the main course, the hostess, thinking she ought to say something, introduced Jessica formally to the group and then said, “Now Jessica. We all know you came from England. Would you like to tell us what in your life brought you to this country?” The blue eyes blinked a bit in startlement, as of course she had by then been talking hard and animatedly about nothing less than her complete life story, for at least two hours. “No,” she said, “I don’t really want to talk about myself, but I will tell you what I will do. I will sing you a song.” And she charged into a lively rendition of the Grace Darling song, with all the verses, followed by an amusing anecdote of how, when her family was on their island of Inch Kenneth, and they sang the song loudly with its chorus of “Help! Help!” small boats would pull onto the island to see if there was any trouble. How she did know how to entertain – and to amuse! My friend hastily interposed a general comment about how different religions believed different things, and Jessica raised an eyebrow and asked my friend what religion she was. “Unitarian,” said my friend. “Oh,” said Jessica, laughing, “But that is really no religion at all, is it?” My friend laughed and conceded it. Then to change the subject, Jessica announced, “I think I will sing another chorus of the Grace Darling song now.” And she did. 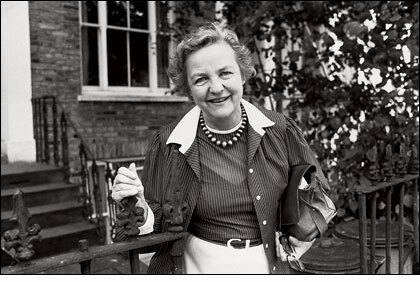 I felt flattered that Jessica Mitford, my long time heroine, seemed to take such a shine to me, and actually asked for my phone number at the end of the evening. No doubt she did enjoy my interest. But I soon found out that she was also a canny organizer, and her method was to make use of people to achieve her various worthy aims. When she called and faxed me, she explained that her friend, Sally Belfrage, had died recently and prematurely of cancer, just after publishing a book about having been a Red Diaper Baby. Sally had not been able to do a book tour, so Jessica had organized a memorial book reading in San Francisco, and now she wanted one in L.A. She had an actress who was willing to have it at her house. Would I help organize, and as I was then the local Jane Austen Society president, invite everyone I knew? So I said I would, and Jessica came down to L.A. and invited me to lunch at her hotel, the Sofitel. This was another very pleasant occasion with me asking her rather more serious questions. About her belief in communism after the fall of the Soviet Union, she said, “Well, that is the problem, isn’t it!” About fascism, she said heatedly that most of her family still did hate Jews really, and that was why she did not care to be among them much. She did not come back down for the actual book launch, which was a rather strange occasion, since the spectacle of seventy-five Jane Austenites listening to excerpts of a Red Diaper Baby memoir was slightly surreal. But a lot of books were sold. I next saw Decca on a visit to L.A. when she invited me to a party at her lawyer’s house, at which I met Maya Angelou and a delightful bevy of eighty-year-old communists and legendary screenwriters. My son came with me and it is one of his all-time cherished memories. Diana Birchall is a successful author and is a lover of all things Honnish (she’s quite the Hon, herself!) Click here to visit her personal website and here to have a look at her lovely books. John Walsh gave my book a great write-up in The Independent! I am beyond thrilled with the positive feedback my book has been getting! 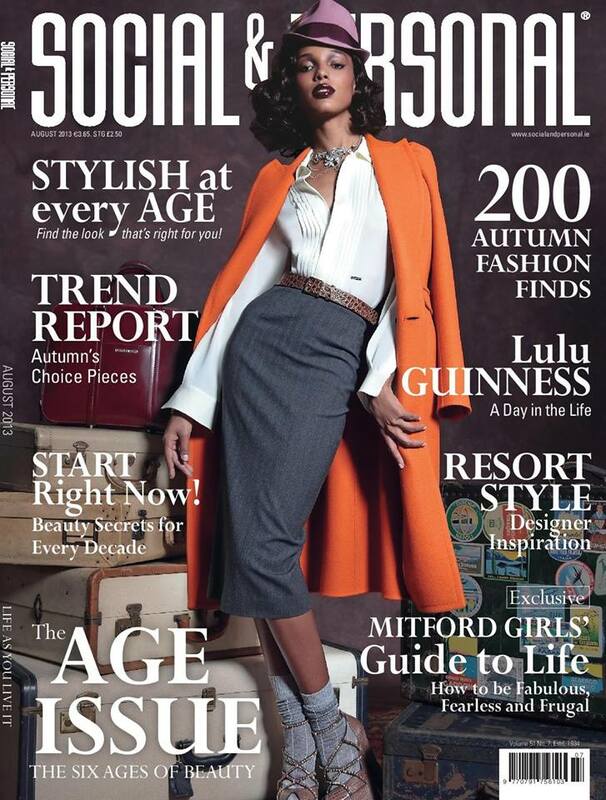 My friend alerted me to a great 6 page spread in Ireland’s leading fashion publication Social & Personal Magazine. 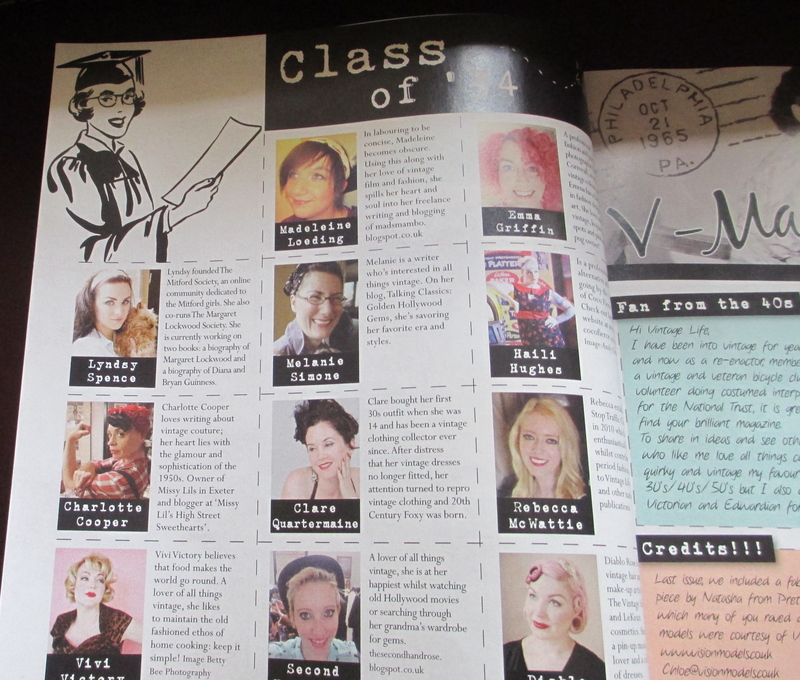 I’ve attached photos of the the writeup. Please note: They have used extracts and photos from my book so if you haven’t read it already you might want to skip this post! This event has been in the pipeline for such a long time and I am thrilled to finally announce that it is going ahead. Alex (from The Amy Grimehouse) has been working tirelessly to organize what will be a wondair occasion. The date has been confirmed as Saturday 7th September at Sutton House in Hackney, and the party will begin at 7pm and run on until midnight. There will be a screening of the BFI doc Nancy Mitford: A Portrait by her Sisters–a must for all Mitford fans as this is very rare!! How extraorder will it be to see (and hear) Pam on the big screen!! That in itself is a reason to attend. Apart from the screening, there will be talks and Nanny Blor will be hosting the evening. I am hoping The National Trust (the partners of this event) will permit The History Press to send copies of my book. Regardless, it is going to be a fun filled evening!! 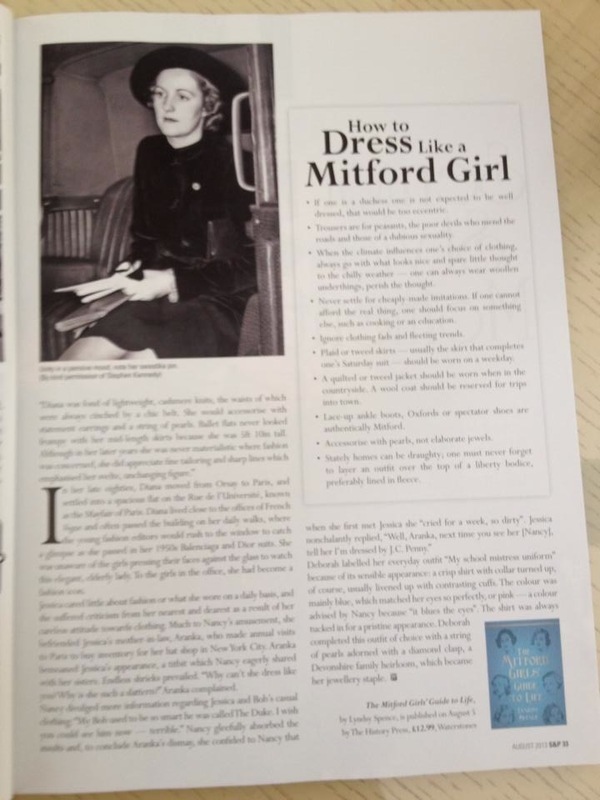 I can’t wait to finally meet our dedicated Mitties from The Mitford Society.